Each year a BHHS Gallo Associate is recognized for their extraordinary contribution to our community. Joanne Young makes a difference in the lives of so many. - Joanne has been active for 23 years in Missions and Ministries at Mariner's Bethel UMC in Ocean View, DE. She’s a Leader in the Prayer and Healing Ministries. - She maintains a Personal Greeting Card Ministry for widows, widowers, and the hospitalized. - Joanne is a longtime Hospice Volunteer, an Advocate and Volunteer for March For Life, an Organizer and Speaker for Women of the Word and a Bible Study Group Leader. - Lastly, Joanne "adopted" a local refugee family with 4 children approximately 18 months ago. The father has been in immigration custody since August 2018. Joanne works with them on a daily basis to help them meet their basic needs. She is a loving and devoted friend and mentor who not only helps the family financially but supports them emotionally and spiritually. Joanne is a truly humble and kind person who is also a fabulous REALTOR. We are grateful that she is a part of our company, community and planet! A donation to a charity or organization of Joanne’s choice will be made by BHHS Gallo Realty. Thanks for everything you do Joanne! 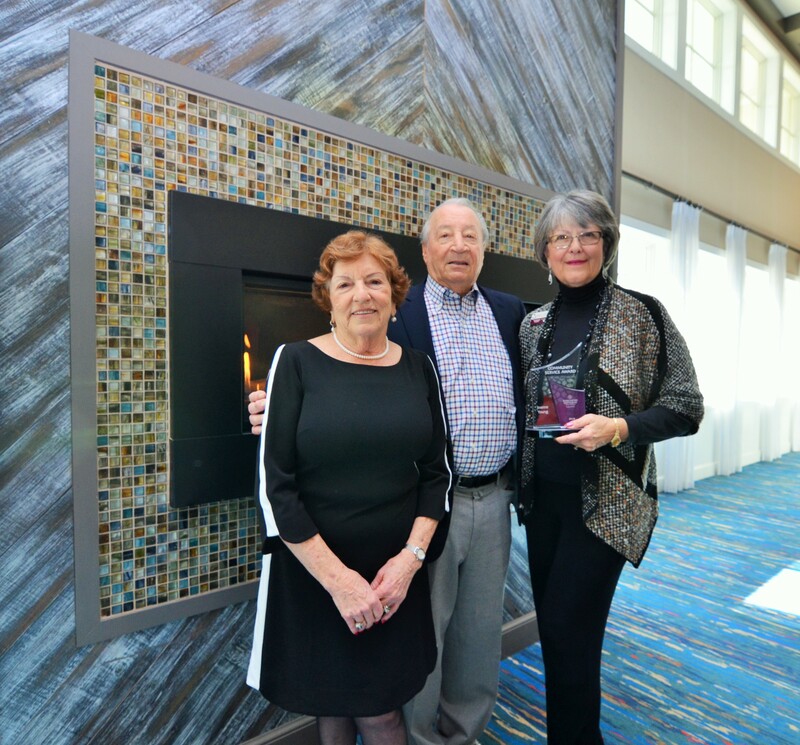 Joanne is shown accepting award from BHHS Gallo Owners Bette & Sal Gallo at the annual company meeting.